I'll try and keep it off when I'm in front of the computer, that way you'll have "INSTANT GRATIFICATION". I guess it's part of my job here. No, I'm not doing Tshuveh and becoming a Yeshivisher, I want to bring up a point. According to Moreinu HaBaal Shem Tov, the Ma'amar "כל הנגעים אדם רואה חוץ מנגעי עצמו" That any shortcomings that a person sees on his friend, איז דאס מנגעי עצמו, it's a Negah that he has, and he sees it in his friend in order for him to rectify the situation. If so, and using that logic, do we say that Chassidim suffer from a Gayveh problem, hence the accusations against non-Chassidim? Do Misnagdim suffer from questions in Emunah that they question anybody and everybody who makes a statement about a Tzaddik, and do they have hidden affinities for X-tianity that they accusee others of adhering to its principles? Do Kanoyim have issues with women and Shmiras Eynayim that they "see" everything that could be problematic and always focus on it, even before Kol Nidre? 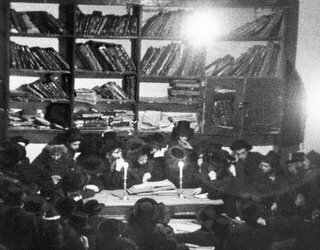 Listening to some people you would think that there really was no need for the Yeshivoh that the Rebbe Rashab founded in Lubavitch, the existing houses of learning were more than fine. Why all it did was to stir up more controversy amongst Frum Jews at a time when they had no time for infighting, right? 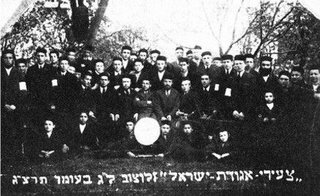 The secular movements that flourished in the great Yeshivos of Lithuania were just a small minority, and as long as the few Gedolim came out of those Yeshivos who cares about the others, right? All they did in Tomchei Tmimim was waste hours upon hours on "Kabboloh" and Tanya and drink vodka, right? They never reached the Gadlus baTeyreh that they did in Mir and Slabodka, let alone Telz, right? Lots of Zionists and secularists came out of Lubavitch too, so what's the difference, Chassidus is no cure to anything, it's just embellished Mussar, right? 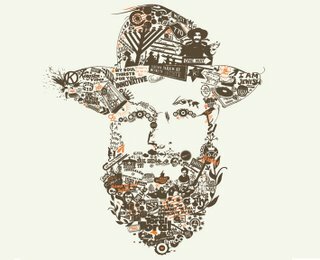 The Baal Shem Tov and Reb Yisrel Salanter both had the same name and they both started "movements", so they must be of equal stature, right? No Godol ever came out of Lubavitch, so what did they accomplish, right? 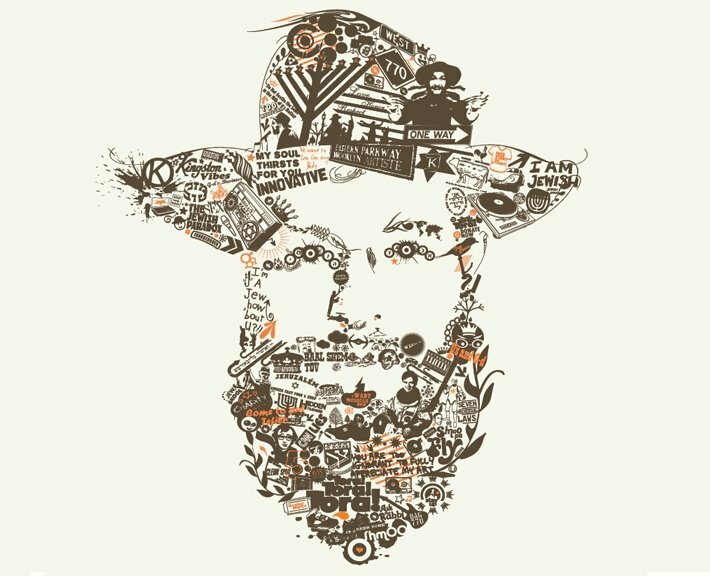 The Rebbe would speak often of a Chazit Datit, a religious bloc, all Religious parties running together at elections, with each one maintaining his independence after the elections. The Moetzes couldn't fathom doing it, they claimed it would hurt their independence. 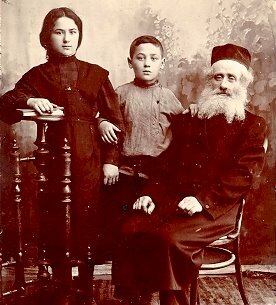 Yeah, I know, they have Daas Torah. The damage done for lack of voting as a bloc is actually twofold. 1) less was and will be accomplished as far as instituting laws that would strengthen the religious character of the country as a whole, not just for "Unzere" and "Heimishe". Although they claim to want to strengthen it, they miss chance after chance. 2) It increased the distances between the different segments of the religious public. Although they claim that going together with the Mizrachi is worse than sitting with Labor or Likud, it would've done tremendous good. Now, after last year's disengagement, a move that affected the Religious Zionists tremendously, and disenfranchised them from the State, I hope it will show all of us, that although we have differences, and although we may have some different priorities, the similarities are greater. At least when issues concerning security are concerned, let's see if the Agudah and Shas, as well as the Religios Zionists will be able to say that they had no part in it. It need not diminish the importance of the funding of Mosdos HaTorah or Government stipends to families. I apologize that you had to see those comments. It seems like some people are incapable of civilized debate, let alone civilized writing. It won't happen again. Comment moderation has been turned on until the pervert has been deemed a non-risk. I will iy"h allow comments as always, I'll just have to delete the profanity. To the pervert who was probably abused by his Rebbi as a child I say this: You have emboldened me now like never before, I know that the points have hit home. I just wish you'd get help from a competent professional. The Agudath Israel of America is on a major damage control campaign these days. It seems like they were told off by donors for not standing up against the disengagement last year, and now they're trying hard to make up for it. At least in Israel the Agudah sold out for money for Yeshivos and child stipends, but in America what was their excuse for not standing up against it? This Year your brother lost his home. He's your brother. He needs your help. Agudath Israel of America GUSH KATIF PESACH FUND. THERE CAN BE NO DISENGAGEMENT FROM ANOTHER JEW'S PAIN. Then they go on to say that it's in answer to a call from Gdolei Yisroel in Eretz Yisroel to help ease the Pesach burden of the Jews of Gush Katif! The same Rabbonim who couldn't make it to a Tefillah rally at the Kosel days before. The same Rabbonim that were dancing on these people's blood, clarifying their so-called positions on Zionism and that the Jews in GK should rethink their priorities re: Zionism and that the Jews there were wrong to put their trust in the secular governments! The hypocrisy is just awesome! What can I say? I'm skeptical. I doubt the sincerity of this Schnorr campaign. It's not Agudah lingo. Maybe I'm wrong, I've been wrong before. 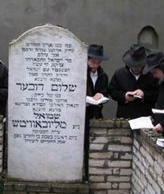 Chava Gurary, wife of Zalmen, and daughter of the Kopishnitzer Rebbe zt"l, a true Bas Kedoshim, was Niftar Friday. The Rusty nail, aka Yated Ne'eman, found it necessary on Friday, 4 days before the Israeli elections, when many Lubavitchers are contemplating voting for United Torah Judaism, (Gimmel), to re-open old wounds, and re-ignite old hatred, much to the dismay of the Chassidic factions in Gimmel. 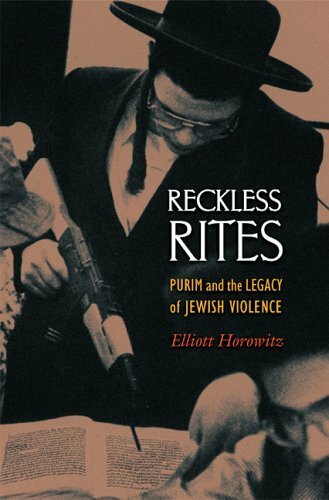 Former MK Shlomo Lorentz's memoirs were the culprit this time. He had to mention מרן'ס great Milchemes Mitzvah in establishing Degel HaTorah, because otherwise how would they earn the title "defenders of Torah"? I have no problem with him writing his memoirs, and let him write about "Murun" all he wants, but was there no better time for this? "מרן הקים את דגל התורה ויתד נאמן, כדי להלחם נגד הרבי ושיטתו, משום שבעיניו זו היתה המלחמה החשובה ביותר" נכתב בכתבה. "אך לא בקלות נכנס מרן לקלחת זו. באחת ההזדמנויות אמר כי היה מעדיף שאחרים ינהלו את המערכה במקומו, ברם, לאחר שנוכח כי אין מי שיהין להיכנס בעובי הקורה, והוא נשאר בודד במערכה, מוטל עליו לעשות כל שבכוחו, בלי שום ויתור". לורנץ מספר גם מדוע הוקם ההכשר "שארית ישראל": "בשנת תשמ"ו נפטר רבה של בני ברק, ובמקומו מינו את בנו, המשתייך לתנועת חב"ד. דעתו של מרן לא הייתה נוחה ממינוי זה, והוא הקים גוף כשרות עצמאי לבני תורה, "שארית ישראל'". So, in short, instead of fighting assimilation, wholesale Reform conversions, and a whole host of other burning issues, the Vabolniker Tzadik set everything aside to fight Chabad. The Chassidic MKs, Litzman and Porush, are working hard on damage control, but I'm afraid that was the last straw, Chabad was reminded of where they stand. Maybe it's not such a bad thing. The Bilbul haMeychen in this subject and the lies spread about supposed Tshuves from Poskim is mindboggling. No amount of Kuntreysim and Seforim published to counter that lie will be totally successful in dispersing the lie, but we do what we can. MBD's new album אפשר לתקן is sure to be a hit, even if it can't be danced to at weddings. The message is based on Reb Nachman Breslover zy"a's vort, אם אתה מאמין שיכולים לקלקל תאמין שיכולים לתקן, That it's never too late to correct to correct your wrongdoings, and just like you were able to "sabotage" or "ruin" so too can youy correct, the gates of heaven are always open to Tshuvah. "The Tzaddik meets a broken Yid on the street who has just about given up on life, he tells him "אל תתייאש" , Im Ata Maamin etc. (I hope the Breslovers here will elaborate on the concept). MBD however, although strongly influenced by Breslov, both from his Rebbe Reb Itche Meir Morgenstern and from elsewhere, is still a BP kind of guy, where Breslov is for loonies (r"l). 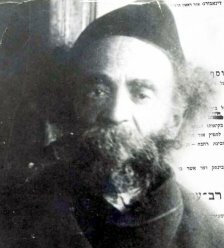 He edits the "Reb Nachman" in the story, opting to replace him with the more accepted "The Tzaddik", "הצדיק הלך ברחוב". Now, there may not have been an actual meeting of Reb Nachman with a Yid where he told him this line, but the Vort nevertheless is from Reb Nachman, so why not say so? Which PR genius told you it would hurt sales? don't they know that Breslov today is a "Big Seller"?! For those interested here's a 5 minute clip of MBD in Medzibuzh Shabbos Zochor of this year, with his Rebbe, Reb IM Morgenstern, the man in the white robe and Spodik. Also seen, for you music buffs, is Shlomo Simcha Sufrin of Shlomo Simcha fame, next to MBD, in the Kasket. I am forever indebted to Tzemach for teaching me, in absentia, how to post Google video onto a website. These old LP's sound great! 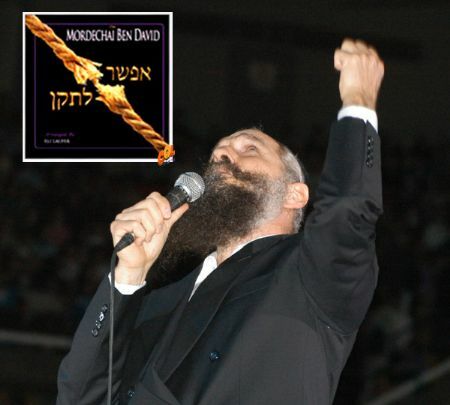 Can you guess who the soloist is on "Boruch Hu"? Speaking about the Twerskis I realized this. Lubavitchers have a problem keeping their mouths shut, they'll do anything to hurt their adversaries, even if it means hurting the Rebbe as well. We have seen that from conversations in cyberspace discussing everything from the Rebbe, the Frierdige Rebbe, the extended family, and Chassidim, distinguished Chassidim too. Strangely enough, the same "mindset" that makes them so proud of their Chabad heritage and affiliation is what allows them to speak so freely and openly. 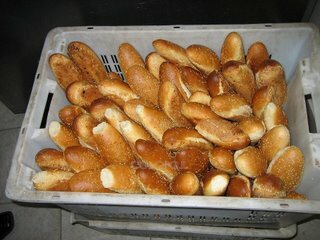 ביי אונז איז אלעס אפעןthey say in Chabad, and many times too open. If that would've happened in Lubavitch there would be books "exposing" the fact, as well as cries of coverups and propaganda. Getting back to the issue at hand; to those who say that Lubavitchers have covered up their shortcomings I say this: You don't know the half of it,and you have no idea what others have covered up, not even the tip of the iceberg. I wish I didn't need to write this, really I do, and I'm sorry if I sound like a whiner. There was no intention to ch"v defame the Twerski family, not that I did anyway. Heresy = "An opinion held in opposition to the commonly received doctrine, and tending to promote division or dissention." 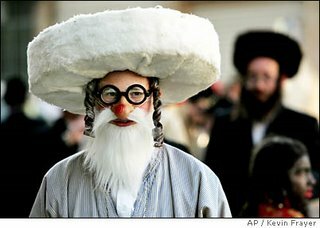 I was talking to this yungerman at a Kiddush yesterday. Truthfully he's not the average Chassidishe Yungerman, but only because he decided not to be. In short he's mad at G-d for making him Jewish, and with a guilty conscience to boot. He'd like to abandon Yiddishkeit but he can't because his conscience won't let him, it keeps him up at night if he sins. This man has raised 7 good kids like this, without ever hiding his feelings, and oh, he's got a mouth like a sewer too. We got on to the discussion by mentioning what else? 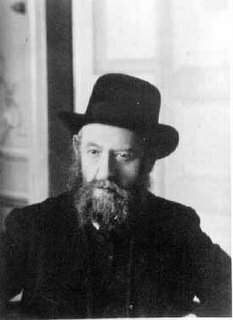 Lubavitch. He said that he pities the Shluchim - Meshiloochim - was his word, for being forced to go on Shlichus to places like Hong Kong and Atlanta. "Forced?, by whom" was my reaction, but he was adamant in his views, stubbornly so, not wanting to hear out what I had to say. כפה עליהם הר כגיגית was his response, I was forced by Har Sinai, and I now have no choice, since I now feel guilty when I do an Aveirah. 1) How and why does a guy like this who claims to be afraid only of his guilty conscience, continue living his life, on the outside as a religious Jew? 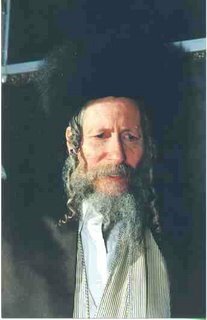 Obviously he only goes through the motions when it comes to Torah and Mitzvos, but if society is not his issue, and he speaks openly of true intentions, then he obviously doesn't care what people think, so why continue wearing a Shtreimel and Bekeshe and bothering to roll up your long beard every morning? 2) The contradictions abound as well. Here's a man who does things only because he feels guilty about them later. He does not worry about Schar and Eynesh, at least it wasn't mentioned in his discussion, I'm not quite sure why not though. Does he believe in them? it would seem like he does, since he quoted the Gemoroh of Kofoh Aleyhem etc., and if he didn't believe it he probably wouldn't quote it. If the wole problem is guilt wouldn't it go away after a while? After all he's not the only who's left the fold, correct? So what's the big deal here? 3) What does a child like that think when he hears these words from his father?, and I know he does because one son was present during our conversation, can he just tune it out and let his Yeshivah education take over? Yeshivos after all don't discuss such matters, so how would his Yeshivah education counter such talk? Is the Ponovezh Split Koved HaTeyreh? The question is why did the B'nei Yisroel make the עגל? they had Aron, Chur, and the Z'Keynim from which to choose, so why go to a calf? The answer is אז מיר ווילען משה רבנו, און אויב נישט משה איז בעסער נעמען א קעלבל , ווייל אזוי וועט מען זיך נישט איינרעדן אז ס'איז א רבי. Today, we are witnessing the wholesale acceptance of Kelblech as Rebbes, but I doubt it's because they're so Mekusher to Moshe Rabbeinu. Now, before you accuse me of "Peylisher bias", take a poll of the average Chassidishe Yungerman and ask him what he thinks of today's Rebbes, I believe you'll hear the same from him. Are these Rebbes "Ravs" in the sense of the Mishna, I think not. Most of their people pay lip service to them and do not respect their opinion as being connected to G-d. Sure, they'll go in for a Kvitel before Rosh HaShonoh and when making a Simchah, but it's going through the motions, nothing more. Is that called a "Rav", just because he's alive? 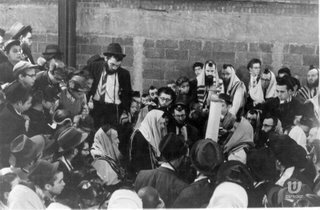 On the flip side; A Lubavitcher Chossid (or Breslover for that matter) who lives by the Rebbe's Sichos and MaaMorim, Follows the Rebbe's Takonos, visits the Tziyun regularly, and requests that the Rebbe intercede for him when necessary, believing that the Rebbe can implore for him, does he NOT have a Rav? I'm not saying that this is an ideal situation that we have on our hands, but does anybody have it better today? Single Malt Scotch is great to drink, especially if you need to go back to work on Shushan Purim. Chassidus Chabad is רייך on Megillah and Purim, not that it was a Chiddush, but it was reassuring. Gerer Bocherim like to have fun like anybody else, Purim and a little wine brings it out. We really should be able to get along beautifully, a little wine shows me that, it's the zealots that ruin everything. Get Yours Here. Cheap too! Why is it that Jews can't just enjoy their Yomim Tovim without feeling guilty? 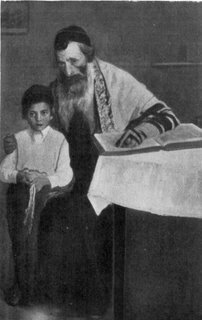 Rabbi Berland was born in 1937, in Haifa, and was recognized as an unusually gifted student even in his youth. 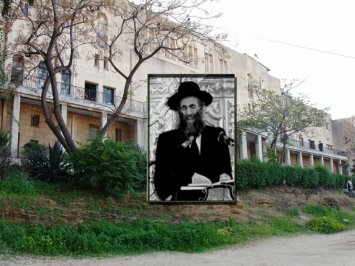 He studied in the yeshiva of Kfar Chassidim and was very close to two of the Torah and Mussar giants of the previous generation, Rabbi Eliyahu Lopian and Rabbi Dov Yaffo. 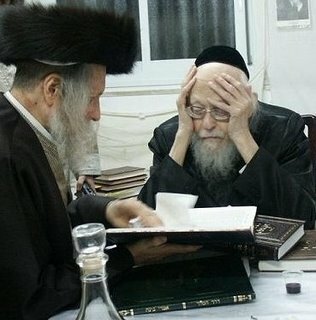 After his marriage, Rabbi Berland joined the Ponevizch kollel and later the kollel Volozhin in Bnei Brak. He was also a student of the Steipler Gaon, Rabbi Yaakov Yisrael Kanievsky zt”l. 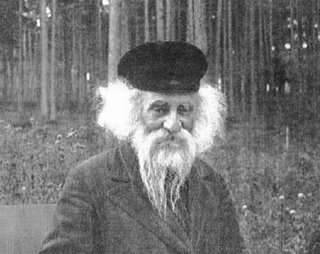 Afterwards, he came into contact with Breslov Chassidism and became a close disciple of some of the elder Breslovers of the previous generation including Rabbi Shmuel Shapira and Hirsch Leib Lepel. 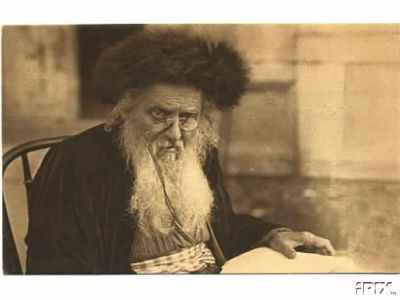 His main connection, however, was to the virtual leader of the Breslov Chassidim at that time, Rabbi Levi Yitzchak Bender, zt”l. Rabbi Berland has spent decades drawing disillusioned Jews back to Judaism. In the course of his efforts, he has brought tens of thousands of Jews back to the path of Torah observance. Today, Rabbi Berland dedicates the majority of his time to providing guidance and instruction to the many students and others who come to his home, both day and night. He delivers a weekly lecture to the community every Shabbos after the morning prayers. Rabbi Berland and his wife, Rebetzin Tehilla Berland, devote most of their time to helping and offering guidance to the students of the yeshiva and their families, as well as to those who approach them from outside the community. The Mishnah Berurah in סי' תרצ"ד סעיף קטן ג' brings a din that many overlook, and others do only because it’s convenient for themselves to do so. 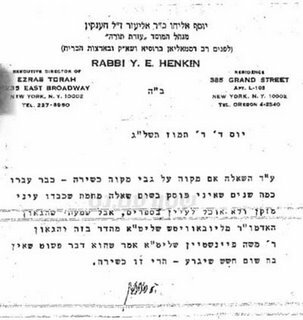 Yeshivos somehow found it important to claim that they too are Evyonim and need the Tzedokoh. The Bochurim are fully expendable, and many Yeshivos have quotas that the Bochurim must collect. Whatever happened to Halochoh? Why are Bocherim allowed to go to all types of homes with questionable behavior going on just to fund themselves? On whose account are these Bocherim sent there? 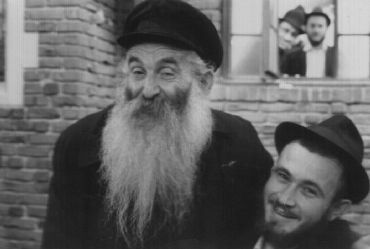 Why not make it mandatory for the Bocherim to participate in being Mesamech Yidden, whether collecting for Evyeynim only, or going to nursing homes, jails, or just visiting elderly and homebound Yidden and making their lives a little happier? With this quote - of Chachomim Hizharu BiDivreychem - we see the old "krenk" of selective criticism. Are we Chas VeSholom to blame the Rashb"I for authoring the Zohar when the results are that Goyim and Amiratzim and Mechalelei Shabbos are learning Zohar wholesale? Are we to blame Chas Vesholom the Nevi'im for giving Goyim their religion based on faulty learning of Nac"h? Obviously not. Torah was made for Baalei Seychel, and Chachomim were meant to be careful that THEY - the Baalei Seychel - not learn the wrong Pshat in their words. Idiots will learn whatever they want from whomever. 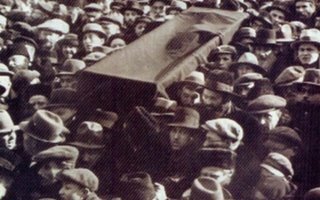 Tomorow will be the 70th Yohrtzeit of the Rogatchover z"l. He incidentally shares that Yohrtzeit with the Chid"a z"l, 130 years later. The title "Sar HaTorah" was bestowed upon him by the Frierdige Rebbe, N"E.
Now, before you think it childish that I'm claiming him as one of ours, remember this; He was the Rov of the Chassidishe Kehillah in Dvinsk for over 40 years, and received a Brochoh from the Tzemach Tzedek to be a Talmid Chochom. He also apologized to the Rebbe that Chassidus Farshteyt er nit azei, because on that he didn't receive a Brochoh. 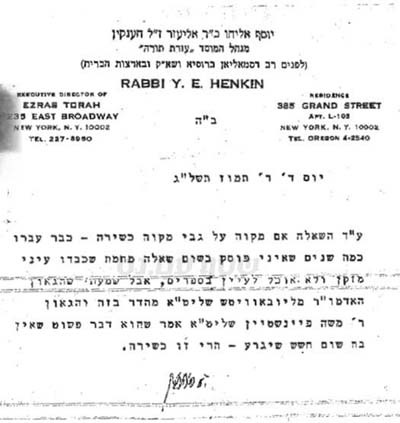 Also, Kamenecki in MOAG goes as far as comparing and NUMBERING the Gedolei HaDor and who was the true Sar HaTeyreh. Thanks to our friend from ShiurimBlog. "וואס ער האט ניט געהערט פון רבי'ן ווייס ער ניט"
These last 2 days have been a disaster for this blog. I hope the troubles aren't somebody's idea of a joke. We have some catching up to do. 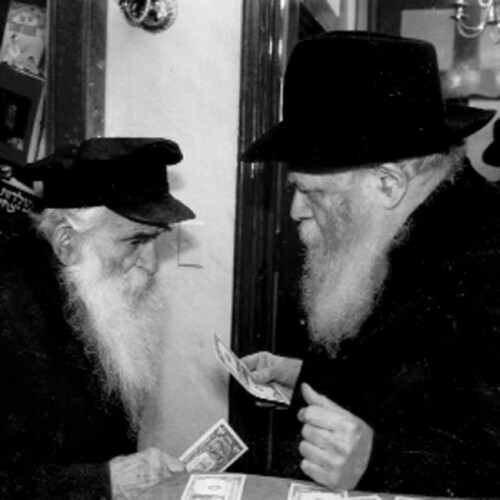 The Litvishe Rebbes are going strong this time of year, dishing out Brochos to unsuspecting American Temimus'dikke Yidden who'll do anything to be blessed. I don't blame them really, what else would work? But why the fake pictures with Kvitlech and Pidyones in the brochures? Thanks to Bloggerai for the tip. What I was referring to was the psychological crisis which overtook the (Kollel) Perushim (centered) community with the deflation of their messianic hopes for the year 1840. This was no small thing, as the fervor and expectations - that had been building for years - may well in fact have been the hidden engine which drove the entire Aliyah movement from the Gra's circle which perceived that former era restraints on active קירובי הקץ had been lifted Mi'shomayim. sure portent of shomayim's inauguration of this new era. Do any of my Lithuanian friends want to place blame for this group of people on anybody's shoulders? פסוקי תנ"ך און מאמרי חז"ל מלאים מדבר הזה און מ'זעט אז ביטול עצמו איז א עיקר גדול אין תורה, און אויב אז דאס פעלט יעמאלט ווערט אן אמת'ער צמצום כפשוטו ר"ל פון "אין אני והוא יכולים לדור"
און עס איז זייער אינטערעסאנט אז אן אמת'ער ע"ז פון "אויסוואקסען א גדול" זעהען זיי (די מתנגדים) ניט. אבער דאס וואס חסידים למיניהם זיינן משבח זייערע רביים צו פיל – א זאך וואס האט אייזענע יסודות אין מאמרי חז"ל – דאס באדערט זיי יע, און דאס איז ביי זיי אן עבודה זרה! Turning the tables on your debate partner is always an exciting development, so let's see how the zealots will respond to this one. We need to brace ourselves for a vicious onslaught of lies and deception, but we're ready, willing and able. That's what's been revealed to me these last few days in this blog. Did I coin that phrase? Sort of like the peasant in Vilna who threw Sholom Ber Krinsky out of shul. He yelled "Chassidski Jihad!". Who's responsible for this new movement? 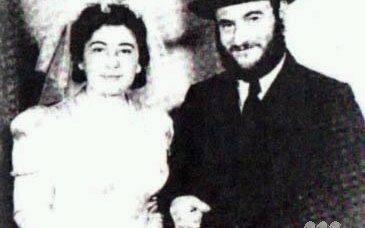 A story of the בית ישרא-ל in honor of his Yohrtzeit. מספר הרב שבתי סלבטציקי: אני למדתי בישיבת 'קול-תורה' של הגאון הרב שלמה-זלמן אויערבאך זצ"ל. בישיבה, היה מתקיים שיעור תניא אותו מסר הרב יוסף סגל. שיטתו של הרב סגל, הייתה מעניינת: הוא היה נוהג להסתובב בישיבה, לקבל מידע על 'חברה' שהיו נחשבים כמוכשרים שיודעים ללמוד, אבל רוצים ומעוניינים במשהו מעבר לזה וכך היה יוצר איתם קשר. למעשה, כך, הוא בעצם הגיע אלי. הפעם הראשונה בה פגשתי אותו, היה זה בדרך לטיש של האדמו"ר מגור ה'בית-ישראל'. הרב סגל החל לדבר איתי בלימוד על ה'קצות' הידוע בענין שליחות להנחת תפילין. לאורך כל השיחה, אני מאוד התפעלתי מהעמקות שלו. במהלך הערב, נפגשתי איתו שוב והמשכנו את השיחה. מספר ימים לאחר-מכן, ה'חברותא' שלי, חסיד גור, סיפר לי בסוד שיש שיעור תניא. כששאלתי אותו מי מוסר את השיעור, הוא ענה: הרב יוסף סגל, זה שפגשת בטיש של ה'בית-ישראל' והתפעלת ממנו. אם לומר את האמת: בתחילה לא רציתי ללכת לשיעור. אחרי הכל, נולדתי במשפחת ליטאית שהייתה רחוקה מאד מחסידות בכלל ומחב"ד בפרט. מה שהכריע את הכף, היה הסקרנות לדעת למה בעצם אנו "מתנגדים". בבית-ספר בבית-וגן בירושלים, התקיים השיעור החשאי. להשיג מפתח למקום, היה סיפור ארוך, אך ניגש לנקודה. אט-אט החלו לזרום בחורים לבית-הספר. כל אחד מהבחורים היה צריך לדפוק דפיקות מסוימות, שהיו מעין סיסמה. רק אז נפתחה הדלת. במשך מספר שבועות נמשך הדבר, עד שאחד מרבני הישיבה, עלה על דבר השיעור ואסר את ההשתתפות בצורה שאינה משתמעת לשתי-פנים. לא הייתה לנו ברירה והפסקנו את השיעור. כעבור מספר שבועות, שוב התחדש השיעור וכמו מקודם, זה נודע לרב אחר מהישיבה ואולצנו להפסיק כליל את השיעור. הצימאון ללמוד את התניא בער בקרבנו והחלטנו לאחר תקופה ארוכה, לחדש את השיעור. בכדי לשמור על חשאיות, קבענו את השיעור בבית-הכנסת של האדמו"ר מאמשינוב בבית-וגן. מדוע אתם לא לומדים בישיבה ? ה'בית-ישראל' נהג לצאת מביתו בלילה, באותו לילה בו ישבנו ללמוד תניא, אנחנו מבחינים לפתע באדמו"ר מגור. הוא התיישב בצד והקשיב לקול לימודינו. לא יכלנו להמשיך ללמוד מרוב התרגשות והפסקנו ללמוד. הוא אמר לנו להמשיך ללמוד, ניסתי למלמל כמה מילים... אך ללא הצלחה. לאחר-מכן הוא שאל אותנו: מנין אתם? וענינו לו: מישיבת 'קול-תורה'. תגובתו של 'בית-ישראל', הייתה חריפה והוא אמר: "רויטע בלעטלעך טאר מען און דאס נישט?!" [=דפים אדומים (כינוי לעיתוני "מעריב" ו"ידיעות" שהכותרות שלהם נכתבו בצבע אדום), מותר לקרוא, ואת זה לא?!]. כעבור מספר שבועות, קראו לי לחדרו של ראש-הישיבה, הרב אויערבאך. כשנכנסתי, הוא שאל אותי: "למה אתה אומר שכאילו אני לא מרשה ללמוד תניא בישיבה?". היססתי. לא ידעתי מה לענות. אך הוא הפציר בי ואז עניתי: "לא אמרתי ח"ו שהרב לא מרשה. אך יש רבנים, בהנהלת הישיבה, שאסרו עלינו ללמוד תניא בישיבה". הרב אויערבאך הקשיב ולאחר-מכן אמר: "מעכשיו מותר לכם ללמוד, רק 'בלי רעש'". I too am getting somewhat tired of this whole back and forth "Snag-Lubab-Misnaged-Cholent" talk, so let's try and maintain some level of sanity in this thread. Why do Chassidim believe That the Eibershter needs כביכול the "help" of Tzaddikim in order to be Mashpia Gashmiyus to the lower realms? Why don't we just settle this whole debate איין מאל פאר אלעמאל: The snags have perverted the Teiroh and Yiddishkeit itself. Baal-Shem-Teiv and his talmidim החזירו עטרה ליושנה. The snags are still holding on to their corrupt ways (ועוד הוסיפו חטא על פשע) and have, therefore, no say in any matter of השקפה, הלכה, אמונות ודעות, יראת שמים ואהבת השם, . In short, they have no gedeilim, no chachomim, no תלמידיהם and no דעת תורה. There is no point to debate them on any topic, even for דע מה שתשיב purposes. Who does Berl mean by "Snags"? I would imagine those who rile up controversy where there is none, not all Litvishe Rabbonim. 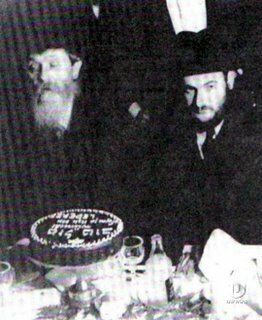 The Rebbe was oft to say that there were many ניט-חסידים in all times, and with them we have no beef, there is no Chiyuv to become a Chossid. The Rebbe also said that nowadays there are no Misnagdim, simply because those who originally were apprehensive about Chassidus have seen that their suspicions were unfounded. Today there are only those that attack movements, and in reference to them Berl says what he does. We also have no problem with not respecting them, simply because they do not "demand" it nor deserve it. בהמשך to the Anybody Got An Answer? thread; Here's CE weighing in. This is the way I understand it: The Gedolei Hamisnagdim were great men, and I think your Emunas Chachomim can remain intact (at least as far as this case is concerned). The Debate between the Chassidim and Misnagdim was, as you pointed out, not really about a difference in theology, or halachic matters; rather, it was over a far more significant problem. 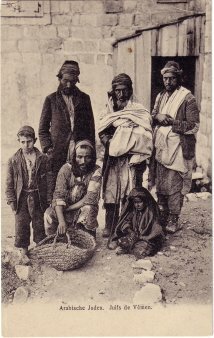 Many Talmidei Hamaggid even state similarly, that the Misnagdim were not bad in any way – they were just not using the right tact, or the best approach, for the generation. The establishment stressed somberness, the Chassidim stressed joy. 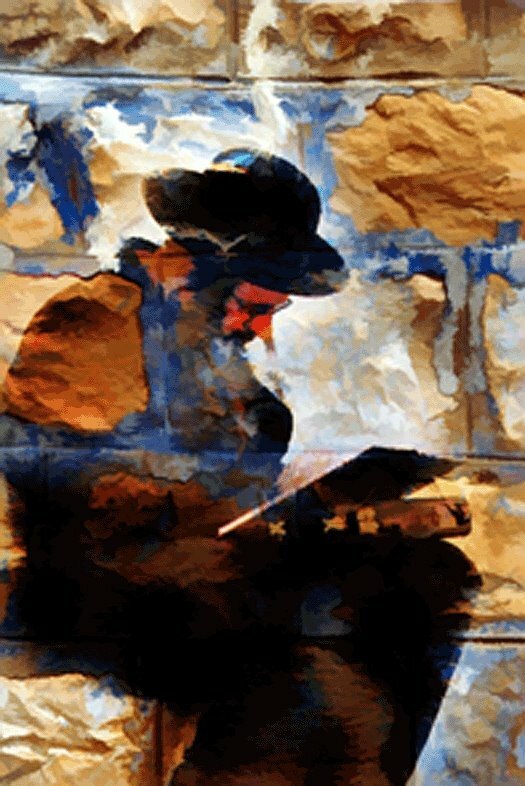 The establishment valued Torah knowledge and prowess, the Chassdidim valued perfection of the self and simplicity. 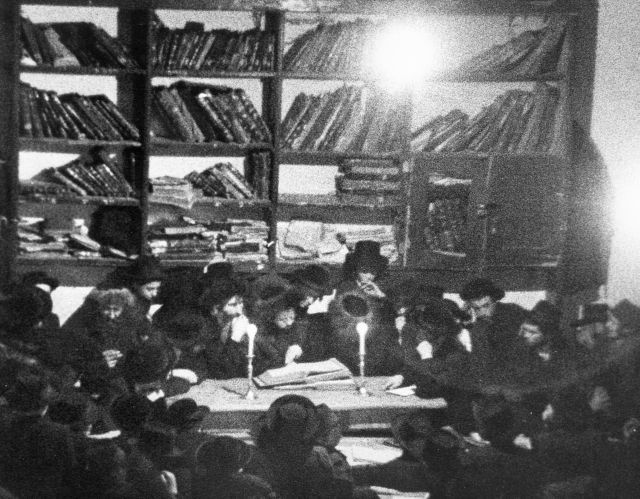 The establishment centered around the most scholarly, Chassidim centered around the most saintly. The establishment valued study over prayer, Chassidim valued prayer over study. 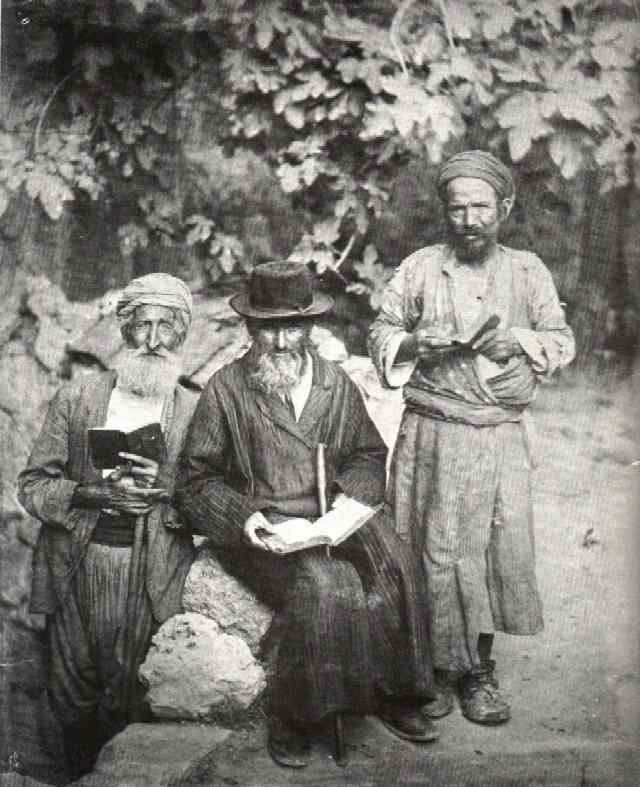 The establishment recognized the mystical, but only for the elite, Chassidim promoted the mystical for the common man (this, of course, not long after the proliferation of the mystical during the Shabbtai Tzvi disaster). 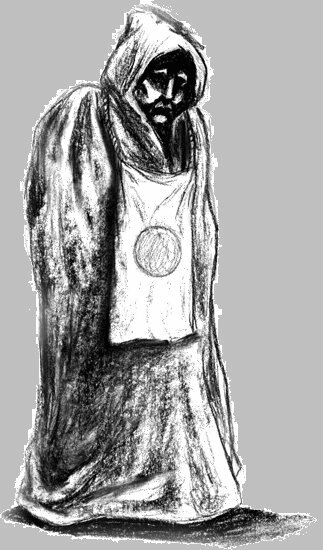 The Misnagdim represented the old-guard, and as all old-guards do, they were opposed to radical change. 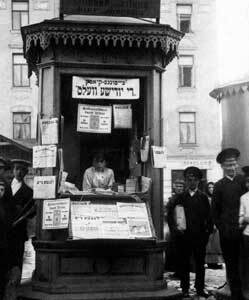 Had the Chassidim been peddling a difference of halacha or theology it was have been a much simpler problem – however the Chassidim were actively attempting to change all the prevalent values, culture, structure and emphasis of Judaism. It should be easy to see why that was considered intolerable by the establishment, for their beliefs and values were being rejected and attacked. The entire future of Judaism was at risk in their view. I think it is very understandable that the response required was the most extreme possible – and I think this was understood by the early Chassidim. I also think this was why the Vilna Gaon refused to meet Chassidim, and should explain how falsehoods were accepted by Rabbonim, Batei-Denim, etc. It wasn’t about the specific charges, be they true or false, it was about maintaining conventional Judaism! 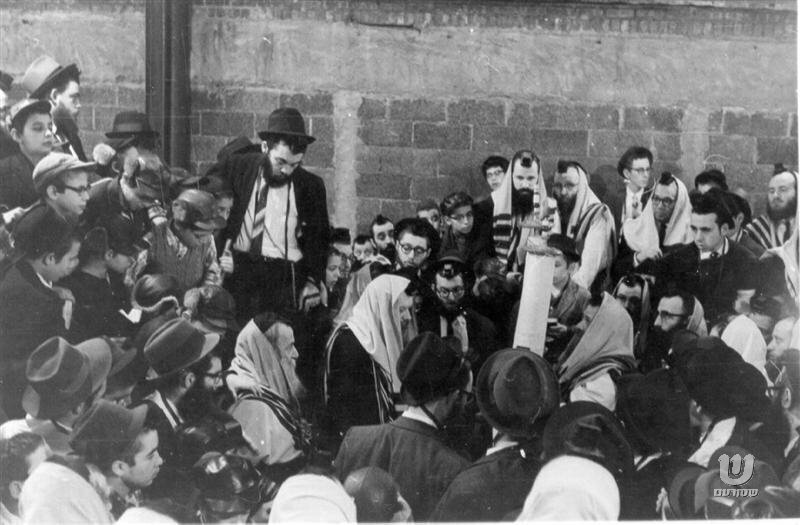 These Chassidim were a shock to the system, and changing the traditions in a religion that lives by tradition – therefore, even though they could make a convincing case and win many a debate, it was unacceptable. 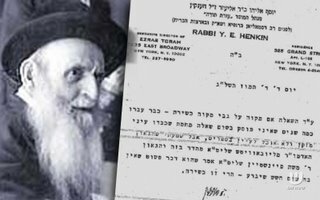 The Gaon didn’t care what R’ Mendel Vitebsker and the Baal HaTanya would say; I’m sure that he knew that they were very knowledgeable and convincing, it’s just that in his opinion it was irrelevant. 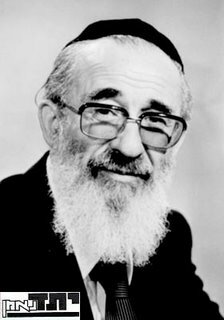 He believed that Yiddishkeit should remain as the mesora had been, and any revolution to the definition of the main-stream was – in his eyes – inherently unacceptable in the extreme. I hope that I did a decent job of articulating what I’m trying to say here. I won’t get into any debates here with anyone about the merits of Chassidus, and I don’t intend to comment more on the matter. I just wanted to explain why I think Gedolei Torah can be respected, even though they supported what may be considered to be shocking activities.